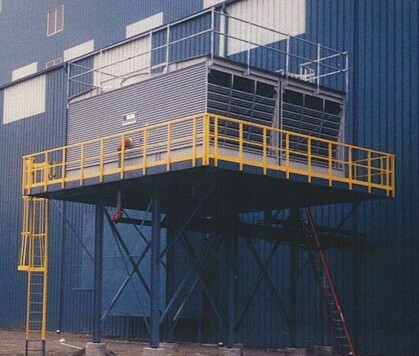 Berg’s line of galvanized steel cooling towers minimize the operating, installation, and maintenance costs associated with both new and replacement cooling tower system projects. The GT Series delivers independently verified, fully rated thermal performance over a wide range of flow and temperature requirements. Standard design features minimize the costs associated with enclosures, support requirements, electrical service, piping, and rigging. 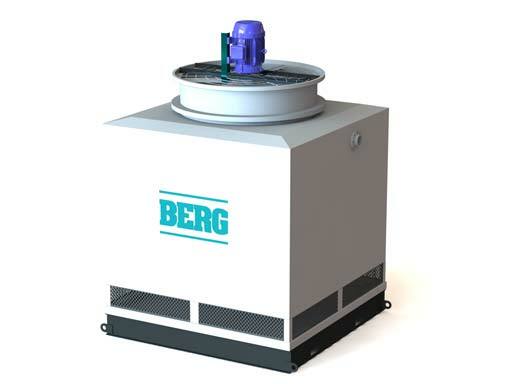 Single cell GT Series Industrial Cooling Towers are available with capacities from 128 to 425 nominal tons ( 384 to 1,284 gpm at 95°F / 85°F / 78°F ). Multiple cell units are also available. A full line is available from 5 tons to Build on Site. 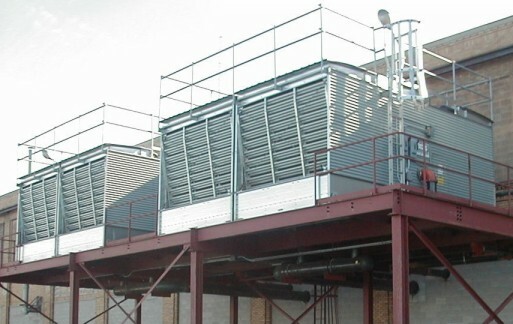 A full line of industrial cooling towers is available from 5 tons of cooling to build-on-site.